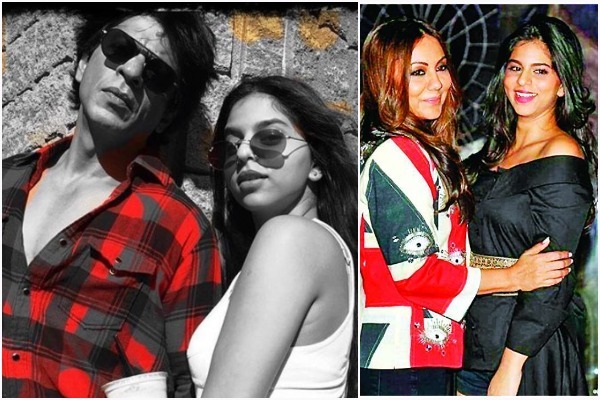 Remember that video of a play that Shah Rukh Khan’s daughter Suhana Khan played Cinderella in? People couldn’t stop praising young Suhana for how beautifully she brought Cinderella to life. Since then, speculation about her Bollywood debut has always been a talk of the town. And guess what? Finally, Suhana has bagged her first project in showbiz. The young beauty will soon begin shooting for a magazine. “Suhana is shooting for a magazine. I don’t want to reveal the name but that’s the most exciting thing I am looking forward to this year,” mother Gauri Khan confirmed to reporters on the sidelines of Hello Hall of Fame Awards that were held over the weekend. Well, at a time when several star kids such as Janhnvi Kapoor and Sara Ali Khan are set for their Bollywood debut, Ananya Panday is reported to be making her entry with Karan Johar’s Student of the Year 2. we can’t wait to catch Suhana Khan on the big screen as well. However, looks like we need to wait a little longer until she takes the baby steps to the world of glory. “If they (kids) want to act, I would be very proud as it’s my line of work and we will have something to chat about. When I came here, I got into theatre, did television and then I got into films. I have strangely studied for 10 years before becoming a film star,” the 50-year-old actor said last year. Next : What Is The Reason Behind Sridevi’s Sister Srilatha’s Silence Over Her Sister’s Death?